SpaceX reported this evening that it has moved the start of its Pad Abort Test window two hours to 9 a.m. EDT on Wednesday, May 6, from Space Launch Complex 40 on Cape Canaveral Air Force Station in Florida. 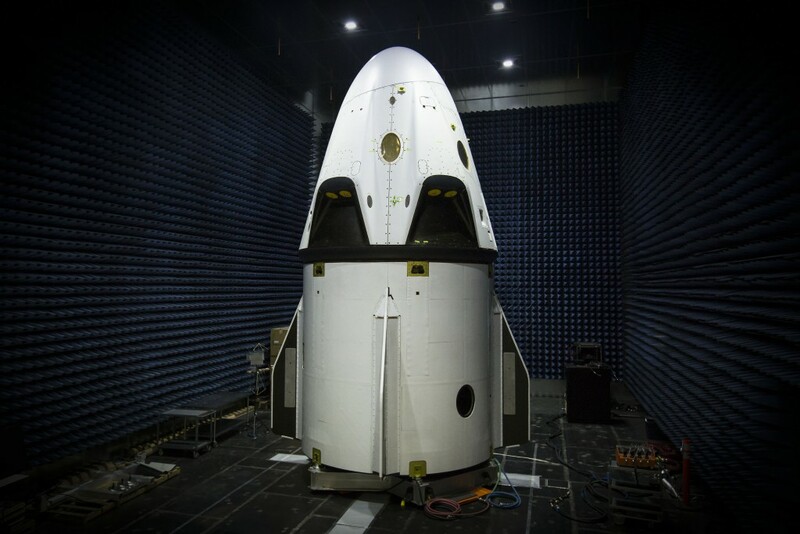 The test will see a Crew Dragon and trunk – together about 20 feet tall – fly on the power of eight SuperDraco engines. There will be no crew members aboard the spacecraft during the test, which will simulate an emergency escape from the launch pad in the unlikely case of booster failing at liftoff or other scenario that would threaten astronauts inside the spacecraft. NASA will provide updates about the test on the Commercial Crew Blog and air the test live on NASA Television. To join the online conversation about the SpaceX Pad Abort Test, follow the hashtag #LaunchAmerica. 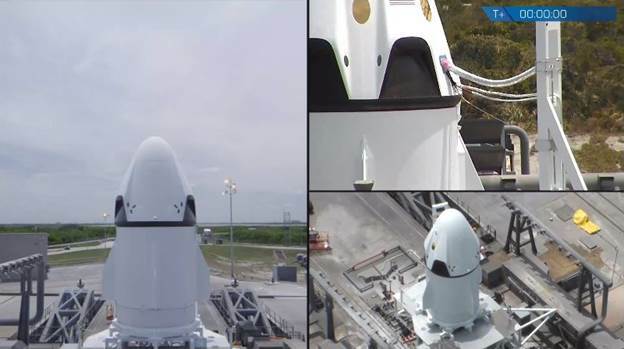 SpaceX currently is targeting no earlier than Tuesday, May 5, for a pad abort test of its Crew Dragon development spacecraft from Space Launch Complex 40 at Cape Canaveral Air Force Station. The ability to abort from a launch or pad emergency and safely carry crew members out of harm’s way is a critical element for NASA’s next generation of crew spacecraft. The company will have a four-hour window to conduct the test, beginning at about 9:30 a.m. EDT. SpaceX has an additional test opportunity on Wednesday, May 6. NASA TV will provide live coverage of the test. NASA TV also will air a media briefing previewing the test with SpaceX and NASA representatives at 10 a.m. Friday, May 1. SpaceX will perform the test under its Commercial Crew Integrated Capability (CCiCap) agreement with NASA, but can use the data gathered during the development flight as it continues on the path to certification. Under a separate Commercial Crew Transportation Capability (CCtCap) contract, NASA’s Commercial Crew Program will certify SpaceX’s Crew Dragon, Falcon 9 rocket, ground and mission operations systems to fly crews to and from the International Space Station. More about media credentialing and coverage details available here.